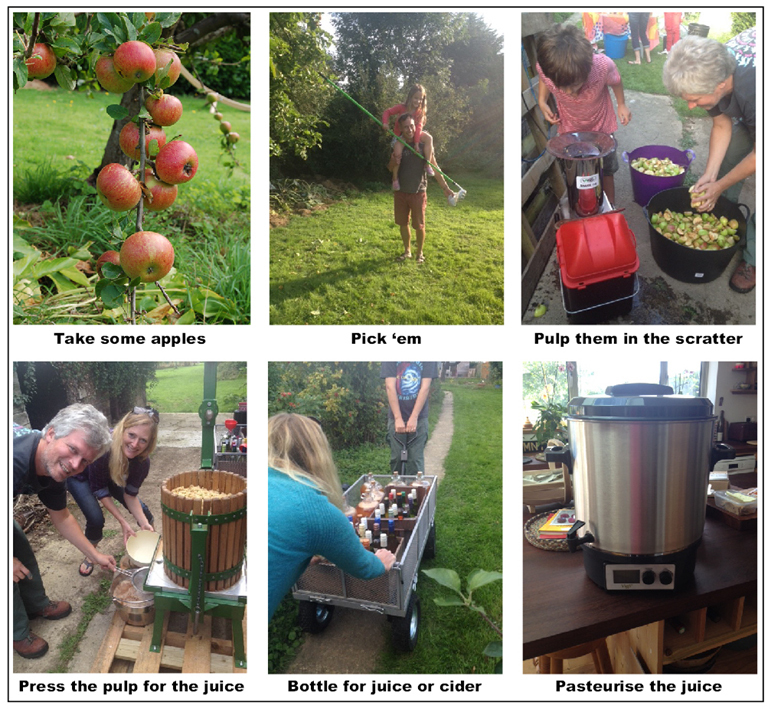 And so during October community groups up and down the country hold a range of apple pressing and harvest celebration events. 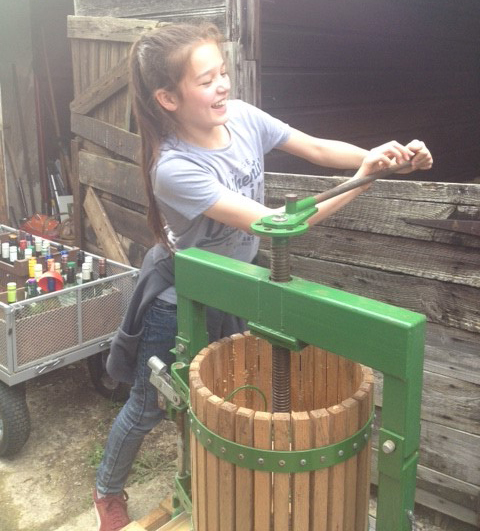 We were joined by friends at The Secret Acre last month for our own Apple Day of fruit picking, pressing, juicing and cider making. Great fun for all the family! It was also a good opportunity to put our new harvesting equipment – a fruit scratter, apple press and pasteuriser – through a through test, after receiving them last year as gifts for a significant birthday. This entry was posted in Orchard and tagged Apple Day, apple juice, apple press, apples, cider, cider making, fruit scratter, harvest, pasteuriser, Paul Rainger, Smallholding, The Secret Acre, Vigo Presses by paulrainger. Bookmark the permalink.